For a nomination to be approved, the Department must be satisfied that a suitable qualified and experienced Australian worker is not available to fill the nominated position. the annual earnings for the position, unless the annual earnings will be greater than the Fair Work High Income Threshold currently at $96,400. However, it is acceptable to publish a salary range, for example: $80,000 to $90,000. The nominated person has an internationally recognised record of exceptional achievement in a profession or field (example: sport, academia and research, top-talent chef, etc). Advertising may have been undertaken by a third party if authorised to do so by the sponsor (for example, an associated entity or a contracted party, such as a recruitment agency) ‐ there is no requirement that the sponsor placed the advertisement themselves. 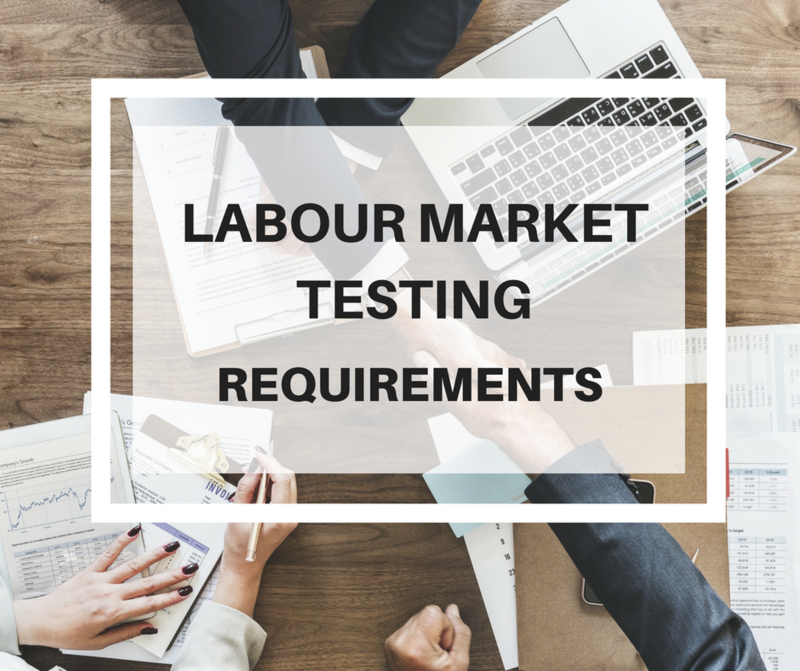 Nominated positions for which international trade obligations applies will be exempted to Labour Market Testing. This new Instrument applies to nominations made on or after 12 August 2018.